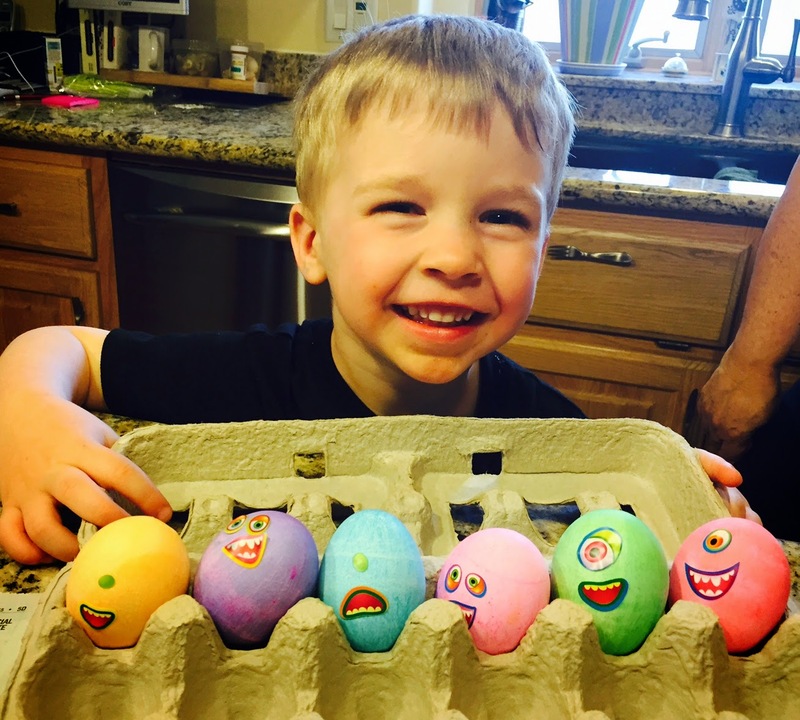 Paxton and I colored Easter Eggs. We had so much fun and he did a great job. I was a bit concerned though about how we might react to the fate of these eggs. I wanted to make egg salad but he seemed a bit attached to his eggs. The morning after we made them, he got up and asked to see them. I got them out and sat down and said you know what we normally do with eggs, right? He said, yes we eat them? I said okay, we had fun making these but now it's time to say good bye. I'd like to make egg salad with these eggs. Satisfied with that answer, he said goodbye. I closed the carton and put them back in the fridge. Hopefully when he's here this week, he remembers our conversation!! I was lucky enough in my last job to get to travel most of the major golf events. The company I worked for sold merchandise in the merchandise tents at these events. Despite the 12 hour days, on your feet, it's a experience I wouldn't trade for anything. Thank goodness, I was younger. I certainly couldn't do it today! The only major golf tournament we did not work was The Masters. The Masters is on my bucket list, some day I hope! If you've been or you read about The Masters, you know unlike many other major sporting events, the food is very reasonable. 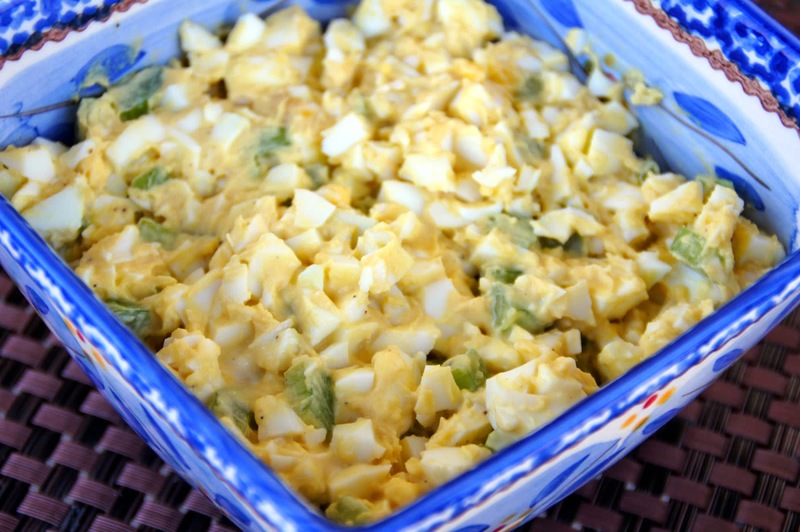 One of the items The Masters is known for is their Egg Salad Sandwich. I hardly ever make egg salad, Tim doesn't care for anything with hard boiled eggs. Yes, that's right no deviled eggs either. In honor of this week's Master's Tournament, here's my version of egg salad. Oh my, Paxton is adorable! What a little cutie! And so sweet about understanding what happens to eggs. Can you believe my 20 and 17 year old daughter still colour a few eggs? And what a fantastic job, travelling to the tournaments. I'm sure it was very hard work, but an experience you'll never forget. I like your egg salad! I also like you took the tie with Paxton to let him know his eggs were moving to the next level- LOve it. I am a 50 something midwesterner. I love to cook, travel and garden. I collect spoons, a collection started by my mother. My blog is a creative journey through my cookbook collection (over 100), my clippings, newly found recipes and baking groups. I would love to hear from you. I love receiving comments on my blog! My e-mail is lakegirlatheart@hotmail.com.